Boasting spectacular views of snowcapped Mount Kenya, Segera is a 50,000 acre ranch that lies in the heart of the Laikipia Plateau, providing a vital wildlife corridor that connects Mount Kenya with the Great Rift Valley. A model of sustainability, Segera is at the vanguard of solving one of Africa's most vexing conservation conundrums - how to strike a land-use balance between wildlife, cattle, and community. And, at the heart of it all, is one of East Africa's most luxurious and sophisticated lodges, an elegant Retreat where art, nature, and exceptional service conspire to create a haven of fun, adventure, and indulgence. The Laikipia Plateau is renowned for hosting Kenya’s second highest concentration of wildlife, after the Maasai Mara, and Segera’s fertile grasslands are home to an array of wildlife, from herds of elephant and buffalo to predators such as lion, leopard, and cheetah, and a diverse assortment of antelope and plains game. 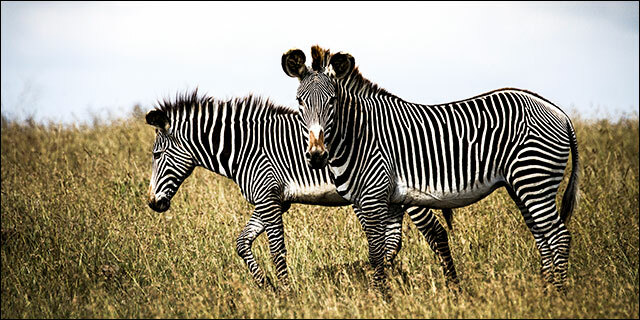 Segera is also a refuge for rare and endangered species such as Grevy’s zebra, reticulated giraffe, and Patas monkeys. Activities are varied and tailored to guest requirements. Day and night game drives in open safari vehicles provide the core wildlife experience, but walking excursions, community visits, an “art Safari” through the lodge’s extensive collection, and behind-the-scenes tours of Segera’s conservation and sustainability projects are additional highlights. 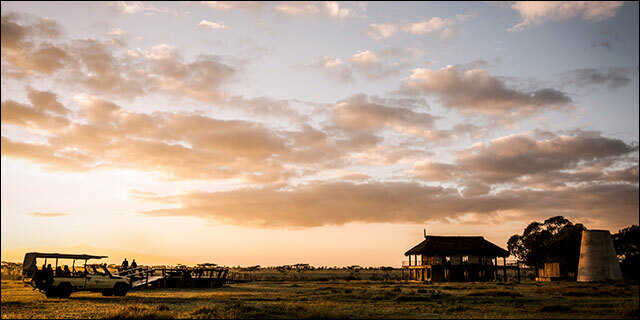 The lodge’s central location in northern Kenya facilitates dramatic helicopter excursions to Mount Kenya, the Great Rift Valley (and soda lakes), and the wild and remote Northern Frontier District. Segera Retreat celebrates its historic roots as a cattle farm by successfully blending contemporary and heritage architecture into a luxurious, yet understated, whole. The lodge presents a feast for the senses with patinated wood, hand-smoothed stones, rough rock walls, thatched roofs and light cast through locally-made recycled glass chandeliers. A sense of a collector’s objet trouvé personalizes interiors, while significant artworks from the Zeitz Collection dramatically punctuate open spaces, and antique and modern furniture mix eclectically. The main area is comprised of the Paddock House, Wine Tower and renovated historic Stables, and houses myriad sitting and dining areas, along with a spa, steam tower, gym and salt water swimming pool. Inspired meals are served al fresco or in one of the various reception rooms. The menu includes delicacies such as Segera’s own free-range beef, fresh trout from local streams, honey and organic produce and herbs, thoughtfully tailored to guests’ preferences and paired with appropriate wine selections. Six large and luxurious villas rise above the Laikipia Plateau on wooden platforms with views over the vast savannah. Each timber and thatch structure boasts a private deck with lounge chairs and a sunken Jacuzzi. A romantic outdoor nature bath and swing beds provide the perfect shaded mid-day respite, nestled within a botanical oasis with indigenous euphorbia trees shading flowering pathways. Gracious Segera House and Villa Segera offer an additional level of exclusivity and luxury. Segera is a unique safari proposition, a luxurious Retreat where guests are surrounded by wildlife, art, conservation, and community, where they are pampered and indulged in an environment of intellectual stimulation and sensory overload. 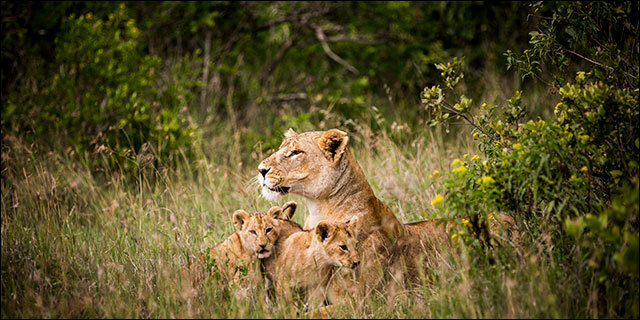 It’s the perfect antidote to the rigors of the modern world, and an outstanding complement to any wildlife-focused experience in the Maasai Mara and/or Serengeti. Segera Retreat is a Luxury Safari Lodge Located in Kenya's Laikipia Plateau.